The questions I get asked most is where do you find fill-in-the-blank (vitamins, stevia, organic food, clothing, kitchen items, beauty products, non-toxic cleaning supplies, etc.) or which such and such do you use? So, I’m working on putting everything together in a handy resource guide that you can use to find my recommendations. 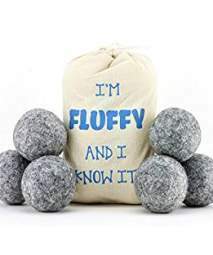 Items on this page are ones that I have used or am currently using in my home, on my kids, or for my family. While not all links on my website necessarily lead to affiliate referrals, for the sake of FTC Disclosure purpose, please know that some of the links on my site are affiliate links and if you choose to purchase items from those links I will receive a small commission for the referral. The price is still the same for you, and sometimes even lower when you use my coupon codes. If you do choose to use my affiliate links, I want to say “Thank You for helping me share the message about healthier living by supporting my website!” Still unsure? Help understanding what affiliate links are. We are bombarded with toxins in our environment on a daily basis, that is why I try to keep my home as toxin free as possible by avoiding fragrance and using more natural products. Here are just a few of my favorites. When I tested positive for mold illness we got an EnviroKlenz® Mobile Air System with UV Light. 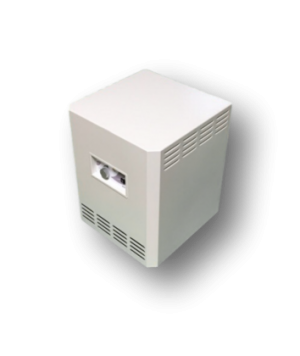 This unit combines Advanced technology for toxic and noxious chemical and odor removal with HEPA filtration and ultraviolet germicidal radiation (UVC) to remove airborne particulates and allergens and inhibit the growth of captured microorganisms (such as bacteria, mold, and viruses). These light blocking glasses are used to help prevent light-induced melatonin suppression that can occur from using electronic devices. I try to wear these when watching TV, using computers, smartphones or any electronic devices in the evenings. For years we have used the Berkey water filtration systems to provide clean drinking water. Consider the fluoride filters if your area supplies fluoridated water. 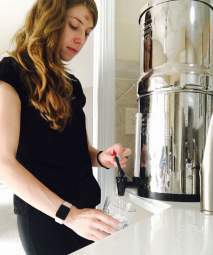 When we upgraded to the Big Berkey we gave our Berkey light to our daughter in Florida where the water smells like sulphur, now her water is much cleaner. We use salt lamps instead of night lights to prevent disrupting melatonin production. The negative ions released by a Salt Lamp help you to relax somewhat like the feeling of being at the beach. Research shows, the more negative ions in our environments, the better we breathe, feel, sleep and maintain health. 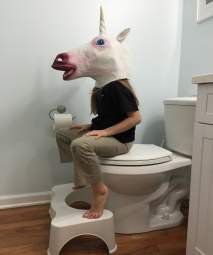 Our bodies were designed to squat, not sit, when pooping, therefore going number two on a modern toilet does not allow the kink in your colon. Using a stool for your stool can truly help you become an efficiency expert at this every day (I hope) activity. 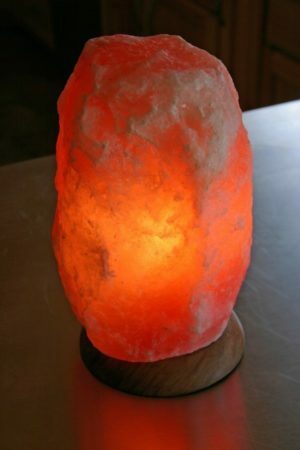 The negative ions released by a Salt Lamp help you to relax somewhat like the feeling of being at the beach. Research shows, the more negative ions in our environments, the better we breathe, feel, sleep and maintain health. 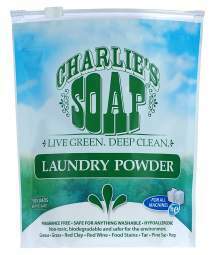 For years I’ve appreciated the concentrated scent free powder that rinses completely without leaving a residue on my clothes. Completely biodegradable and HE approved. In the amount of time I have saved by having a robotic vacuum, I can read a few chapters of our favorite series to my kids. Even our Mold Inspector uses and recommends a Roomba for reducing mold spores and dust. Nothing beats being pampered whether she is a new mom or she’s got a house full of kiddos. All the amazing moms in your life deserve to be pampered! Plants clean the air and flowers make us happy. Two of the best possible gifts for when you don’t know what else to give. When we want to spoil our Cat Clan with Catnip or treat a problem like anxiety, we use only natural pet supplies. 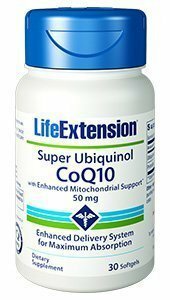 I purchase the following supplements through Life Extension Products because they are high quality. For years, I have used this product for anxiety. It’s great for calming nerves before a test or a big presentation as well. My doctor takes it before he gives a talk in front of a crowd and so do I. My daughter uses it at school to increase focus and help her perform better on tests. 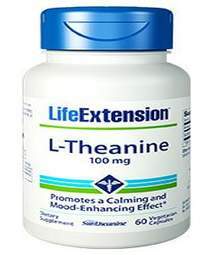 You can also find many protocols for various health issues here: Life Extension Health Concerns . This makes it easier to repair your health with step by step instructions and suggestions. I have used the Digestive Health protocol for myself and with my son and it has helped to repair mild leaky gut. Collagen is another one of my favorite supplements, I keep it in a jar next to my coffee and tea area. 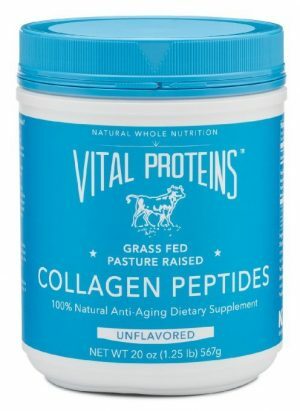 My family and I use Vital Proteins Collagen Peptides. All of my beauty advice comes from my beauty guru Macey! She graduated from Aveda Institute and currently works as an aesthetician. She spends a lot of time on researching safe ingredients so that she can recommend the most natural and effective products for you! These clips save me so much time when I am running late (or don’t have the desire) to fix my hair. Works in all types and thickness of hair and comes in many beautiful designs. Never use a ponytail holder again. My daughter works as a cosmetologist at a very nice spa, and this came highly recommended. Instead of mainstream beauty products, we opt for 100% toxin free beauty; no nasties, parabens, synthetic fragrances, dyes, chemicals, phthalates, formaldehyde and other toxins! Rid your body of dead skin cells and let that beautiful skin glow. 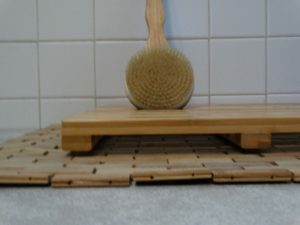 Using a body brush can help prevent and alleviate cellulite as well as improves lymphatic flow. Easier than taking a supplement, I keep a jar of magnesium bath flakes beside the tub so no matter who is having a soak they can also be absorbing this crucial mineral that over 80% of Americans are deficient in. Transdermal option for getting your required levels of magnesium. I also use this as one ingredient when I make body butter. 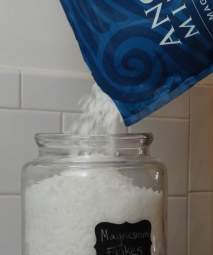 Soak away aches, pains, and muscle fatigue while increasing your magnesium levels with epsom salts. Epsom salts are also great for the yard and gardening! My choice for a raw, vegan, and gluten free holistic conditioner formula packed with nature’s most potent trace minerals and naturally grown botanicals. 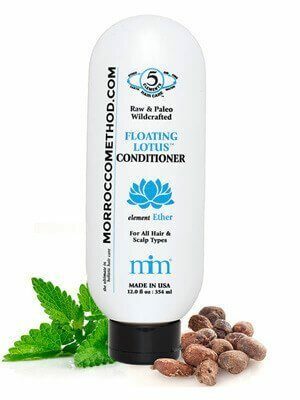 This formula provides deep moisture and detangling with ingredients that feeds the hair and scalp not to mention it is sulfate free, synthetic chemical free, paraben free, and paleo friendly. A drinkable tonic that supports efficient digestion and a healthy gut, which naturally results in long-lasting skin health and radiance. 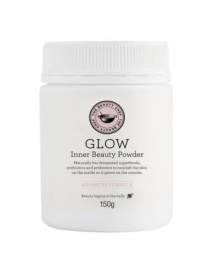 Synthesizes collagen in the skin and helps contribute to normal skin function as well as support digestive health. 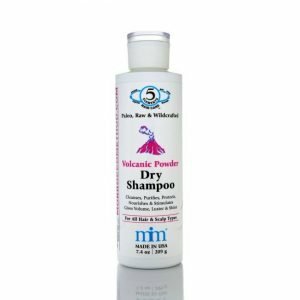 combination of the finest clays, minerals, and botanicals from around the world to draw out impurities from the roots and follicles while also protecting the scalp’s natural oils. For those days when you don’t have time for a full wash! I rotate all of these shampoos as the set is the most comprehensive natural and holistic hair care method I have found for quality, sulfate free shampoos that feed hair live nutrition. Seems like I spend a lot of time in the kitchen making food for my family. Here are a few of my favorite products for saving time and creating healthier and tastier meals. So much easier to clean than pulling out my Vitamix. 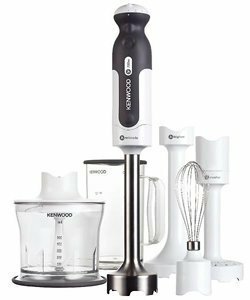 I use this for making creamed soups and salad dressings, whipping heavy cream for toppings, mixing bulletproof coffee, making homemade mayo and lots more. These are the containers I use in my own pantry and the ones I recommend when I am doing a pantry makeover for a client. My Kids favorite snacks are usually things we have found in this wonderful red box. We have shared several unboxing videos on the TOM Youtube channel if you’d like to get a glimpse of how much is packed in a Love with Food box. Several sizes available as well as gluten free options. Where I purchase specialty items. Perfect for if you don’t live near a lot of health food stores, etc. 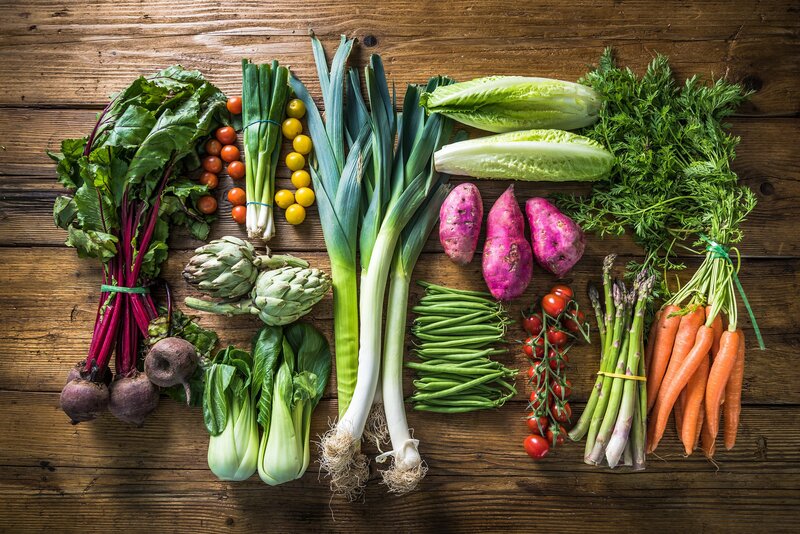 Thrive Market seeks to make healthy living easy, affordable, and accessible for every American family. Having the membership saves money. When your nice glassware goes missing at work you opt for a less expensive BPA free option. These are the containers I often do meal prep for my husband in. For those who refuse to use ANY type of plastic these jars are fantastic in the pantry. I have several sets to store beans, rice, and other dried goods. If you de-cluttter and organize you might end up with all of your appliances under the counters however for those you keep on the counter, this appliance caddy makes them easier to get to. I keep my coffee pot on one so that I can easily pull it out to pour in the water. If I could have only one convenience product this would be it. I was always afraid of pressure cookers before. 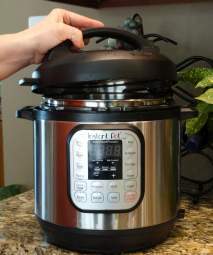 Now with this Instant Pot, I make my own homemade bone broth on a weekly basis. Great for quickly preparing dried beans and lots more. Couldn’t live without it! 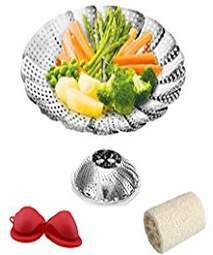 Steamed eggs, veggies, cakes, yogurt and lots more can be made in the instant pot with the right accessories! 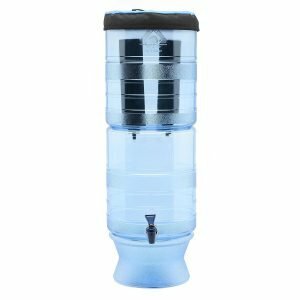 For years we have used Berkey water filtration systems to provide clean drinking water. We’ve had the Big Berkey and the Berkey light we passed down to our oldest daughter. Consider the fluoride filters if your area supplies fluoridated water. This water bottle kept my daughter and I from getting sick from water born bacteria while traveling through China. 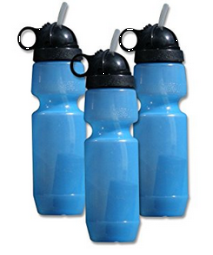 I gave one to my daughter so she could filter the water fountain water at school as well. Losing weight isn’t always easy or straightforward but here are some of the products I use to maintain my weight. The Flat Belly Plan will help if you have Candida, Parasites, or Leaky Gut by using an elimination process. It’s really an educational tool that can help with weight loss. Train With Lyzabeth is the Workout Routine I am currently using to train. She also has a great food plan for people with Hypothyroid problems or people who think they may have hypothyroid that I also like. My daughter Haley uses the Classic plan. A nutrition & fitness tracking website which is very useful for calculating macros. For a while, I used MyFitnessPal but the nutrition information for foods would be off so often that I had to switch to something more reliable. We drink collagen powder each morning and night. 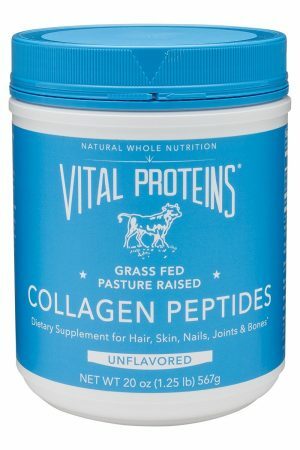 This is our favorite brand, pasture raised, grass fed, non-GMO, Kosher, soluble in cold liquids, anti-aging, builds strong hair and nails, keeps bones healthy, supports joint health, helps maintain a healthy weight, Whole 30 approved, gluten free and dairy free. I’ve been drinking oolong tea since I returned from China. It helps with weight loss and detoxification. Some people’s love language is Gift Giving, which is true of several of my friends as well as one of my children. I like to give meaningful and useful gifts. Here are a few that I am crazy about. Since I started blogging, these are the tools that have made getting things done easier. Easily create, customize and embed nutrition labels in your recipes. Easy to use, flexible, and if you change the recipe on Nutrifox it updates in your post automatically. 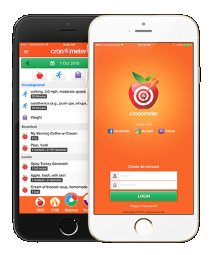 Great tool for health conscious bloggers. Food Blogger Pro is a great tool for any blogger, beginners to experts. 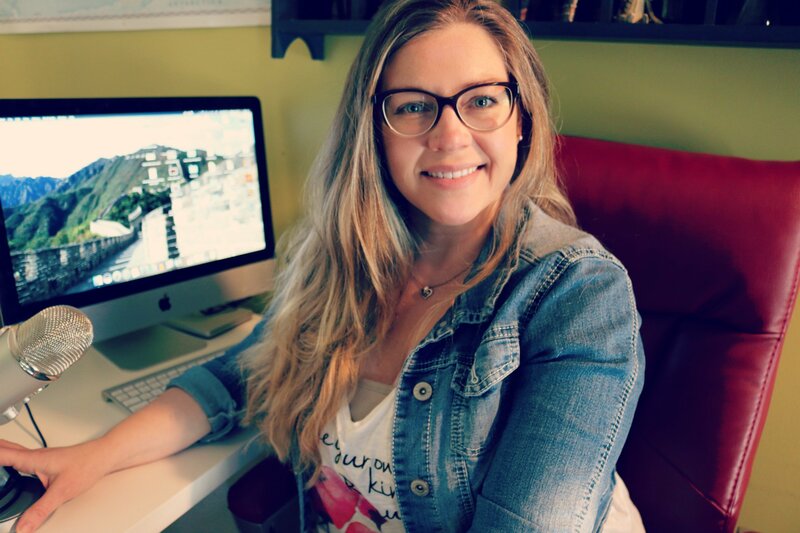 Food Blogger Pro will give you the tools you need to create the blog of your dreams. In addition, the videos, tutorials, community forum, and other materials will help you avoid mistakes by providing instructions that have already been tested. If only I’d known about Food Blogger Pro from the beginning; it would have made things SO much easier and saved me so much time. Use this tool for everything from learning how to take better photos to growing your instagram, and tons more. The quality of my videos and audio went up 100% when I started using a professional mic. 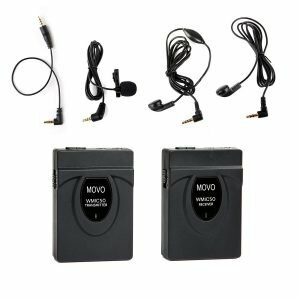 Easy to use and produces a very clear sound perfect for voiceovers and podcasts. Trying to hold a camera still while filming is no easy task. 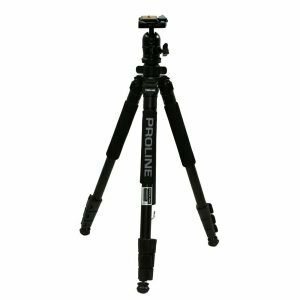 This tripod helps to make the videos more stable with less shaking. This mic is perfect for when we are doing a cooking video as it isolates the sound to the speaker instead of capturing all the sounds in the kitchen! I use my laptop for working on the go, for working at the coffee shop on my “day off” and when it comes to blogging, I couldn’t do without it to be honest. This computer is used by everyone working on my site, editing videos, etc. I regret not switching to apple products much sooner! This is the first camera I purchased for use on my blog. I still take most of my food photos with this camera it works great and for a great price. 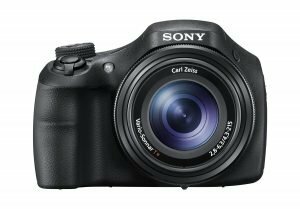 I upgraded to this camera for my videos because I wanted an external mic, which the Sony does not have. Do yourself a favor, get the kit, not just the camera. An invaluable tool for bloggers. You don’t want to store everything on your computer! Dropbox is great because you can just login from anywhere and access your files. Little Jobs for $5 – Stuff like removing the background from a photo, drawings, Graphic Design, Music, Audio, Programming. It’s a great place to get little gigs done! It’s like having your own personal virtual assistant. The new intro in my YouTube video was purchased on Fiverr.